Like many cats, Fifi loves hiding in boxes and bags. 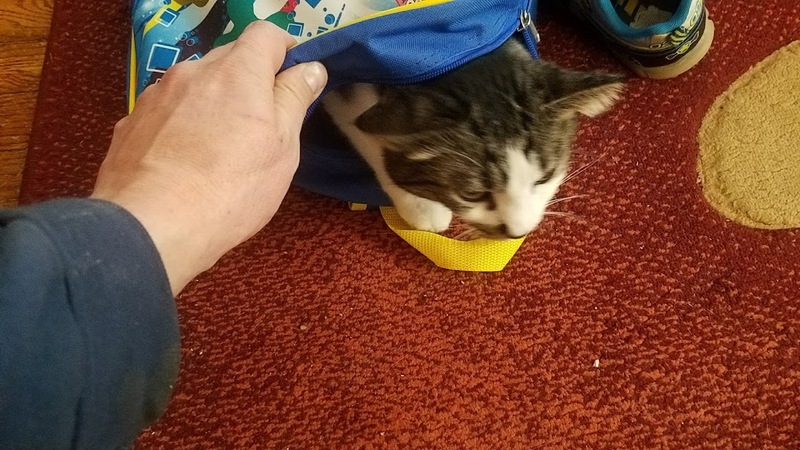 Our son's school bag provides an irresistible place to lurk and pounce on the other cats as they pass by. 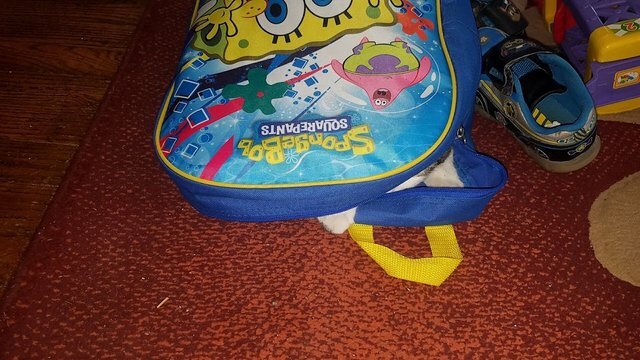 Maybe Fifi wants to go to school too. I think she would like that. She is such a sociable kitty! Yeah, I used to make "forts" from refrigerator boxes when I was little. Our neighbors owned an appliance store so we could get huge boxes any time. Oh wow that's awesome, or,maybe always having them available made it boring? lol My neighbors have young grandkids and they got new washer/dryer last summer. They have toys and bikes and skateboards and a pool - and they played with the boxes for hours lol There should be a place to donate the boxes if you don't have kids and buy new appliances!